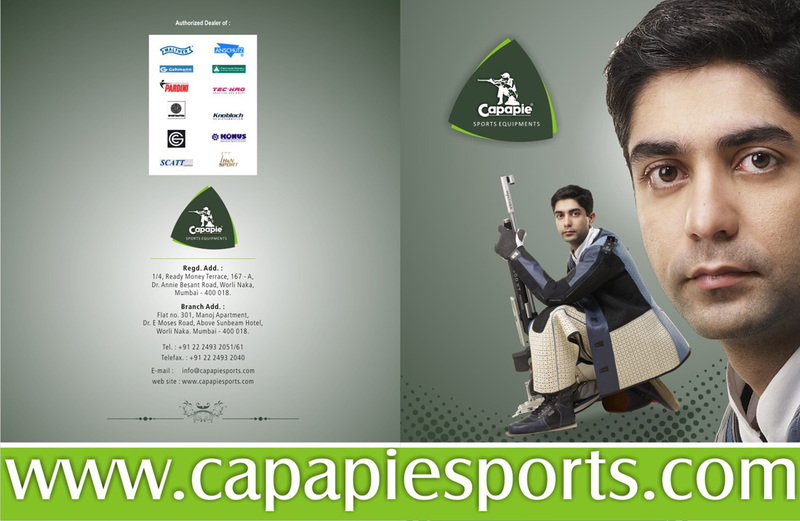 Capapie Sports - National Shooting Championship on your browser). 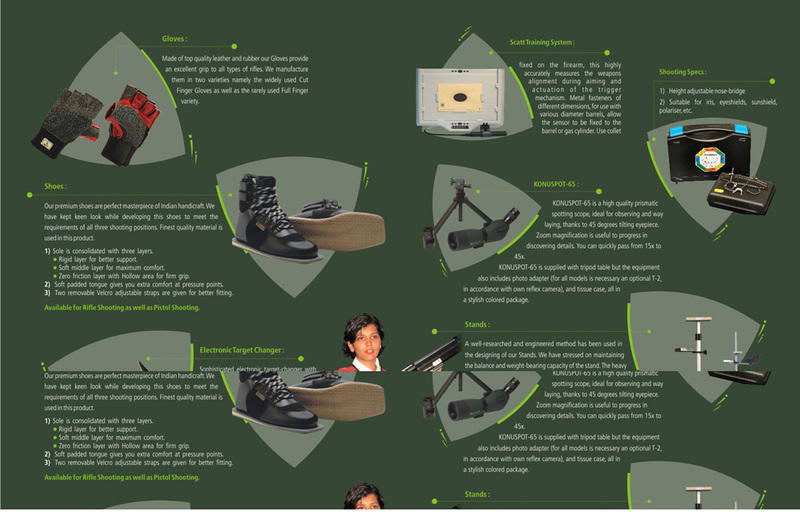 Vijay Kumar wins gold in rapid fire pistol 30 Dec 2012. 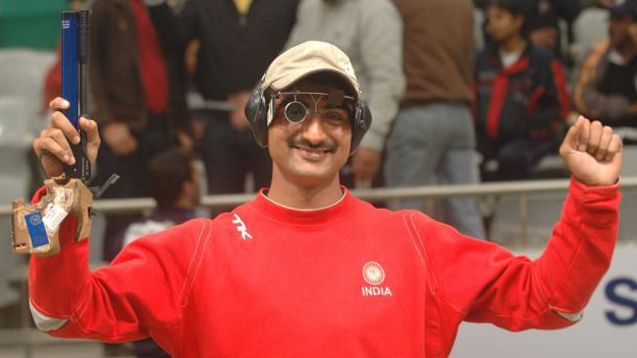 London Olympic silver medallist Vijay Kumar, not only decided to participate at the 56th National Shooting Championship, but managed to clinch the gold in the men's rapid fire pistol event. Vijay shot 572 in the qualification and 25 in the finals. In women’s air pistol, Olympian Heena Sidhu won the gold 2.7 points ahead of another Olympian Annu Raj Singh. The latter led after the first shot, after both had tied on 383 in the qualification round, but Punjab's Heena shot with supreme confidence thereafter to sail through, leading with every shot though the lead reduced to 0.3 point at one stage. 22 Dec 2012. 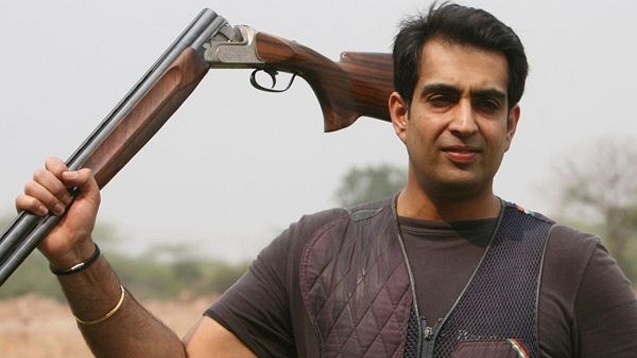 Former world champion Manavjit Sandhu on Saturday clinched the trap gold medal while unheralded Chain Singh of Army bagged the yellow metal in men's 10m air rifle event ahead of Beijing Olympic gold medallist Abhinav Bindra, at the 56th National Shooting Championship. Sandhu won the gold with a score of 117 + 22 while the silver was won by Birendeep Sodhi of Air India who shot 116 + 23. The bronze went to Zoravar Singh Sandhu of Air India for scoring 118 + 20. 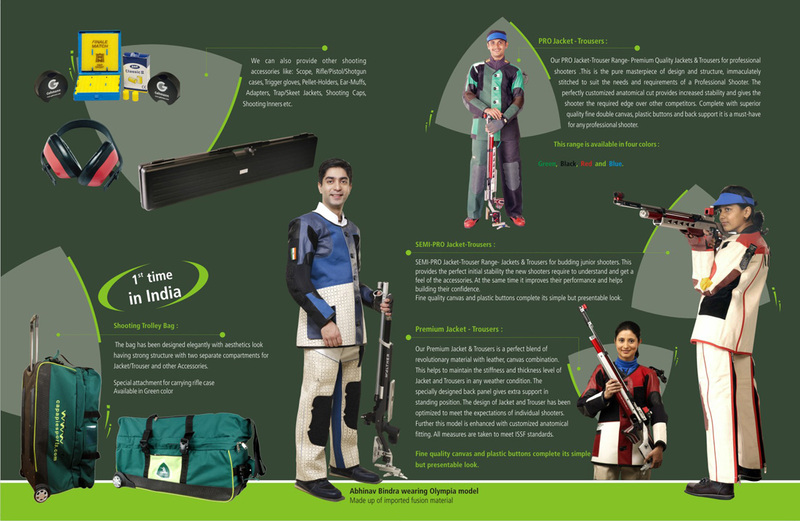 In the finals of men's 10m air rifle event, Chain Singh shot 594+102.4 leaving behind Bindra, who shot 591+103.2. The bronze was won by Satyendra Singh of Army -- he shot 590+104.1. The men's 50m free pistol event was also completed on Saturday and the gold medal was won by Om Prakash of Army who scored 556 + 93.6. The silver medal went to Gurpal Singh of Army for scoring 551 + 96.6 while Amanpreet Singh of ONGC won the bronze after shooting 548 + 96.5. In trap junior men's event, GS Sharan of Karnataka won the gold medal with a score of 112. Mohd. 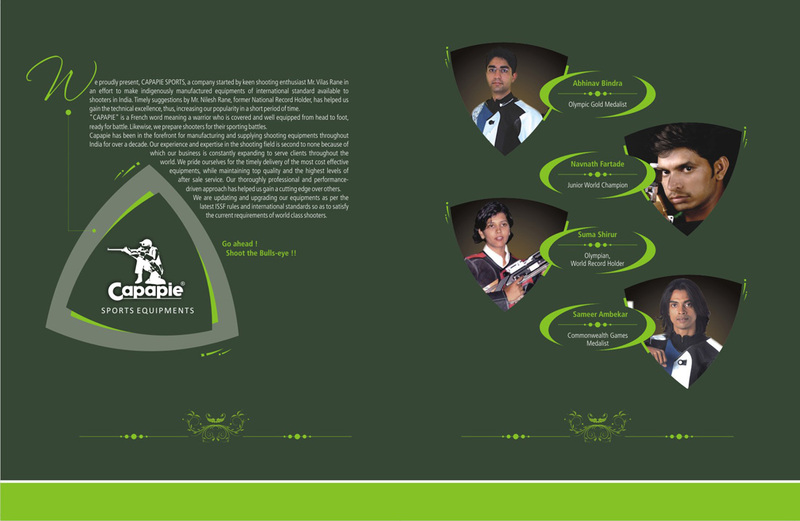 Shees of UP bagged the silver for scoring 100, while the bronze went to Adhiraj Singh Rathore of Rajasthan.